A fiduciary is a company or organization that is legally bound to do right by their clients. Beware as all brokers or investment firms don’t always fall under this umbrella! 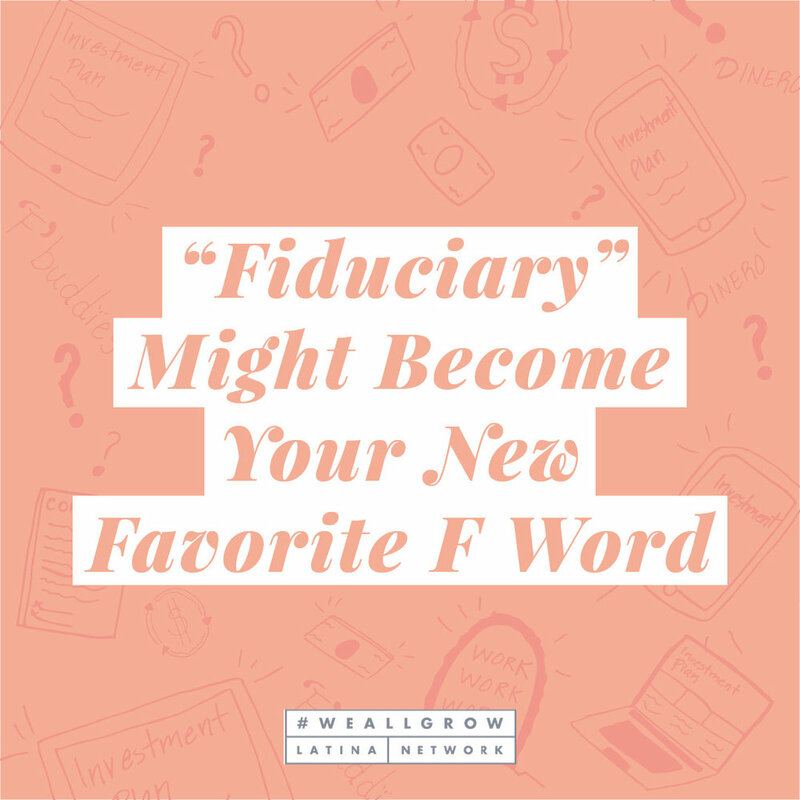 Make sure to ask this critical question before entering into legally binding contracts with any one firm: Are you a fiduciary? If you find a fabulous firm that is an absolute must to work with but isn’t fiduciary, make sure that they can and will put client security and well-being above corporate gain. Err on the side of caution and consider solidifying contractual obligations with financial fiduciary friends that have already made the pledge to act responsibly and intelligently on your behalf. In life and in money, search for F buddies that have your best interests at heart. Talk to any potential firm about their strategy for investments. Some firms craft personalized portfolios that you can have a hand in curating. Others use a formula and automated system for choosing your investments. Every firm and platform is distinct, so make sure that the firm you set your sights on uses a strategy that resonates with you and has protocols that you can easily understand. In the past, most robo-investment platforms utilized investment algorithms based on a man’s salary projections and career lifetime, often discounting or ignoring the unique elements of a woman’s career. Not exactly the most conducive to female financial goals! Luckily, investment firms such as Ellevest aim to better serve women’s needs by using an algorithm tailored specifically to women’s incomes and life cycles. Examine the minimum balance requirements and fees closely for any platform or firm that you may be considering. If you are working within tight budget constraints, it is worthwhile to choose a firm that can get you started with a minimal initial investment. 4. Look for firms that support women. While women investors are steadily on the rise, there is still a substantial gap between the number of men and women in the investments market. Empowered women empower women and making sure that you choose a firm that understands the unique challenges a woman must face in her lifetime will result in a more accurate forecast for your financial future. Does your potential financial firm support women in a positive manner? While the answer to that question may not directly influence the returns you receive, choosing a firm or platform with a pro-women mindset is a win for parity and financial equality in the future. Knowing how to qualify the financial friend and ally that will walk alongside you as you tackle the very important business of investing ensures that you can begin to invest with the confidence that comes from having a squad that has the knowledge and experience to take you and your finances to the next level. Once you have your squad locked down, it’s time to execute! They say knowledge is power but knowledge is only potential power. It’s in the execution of that knowledge where your true power lies.